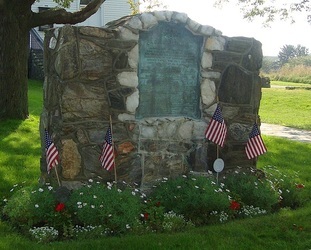 Revolutionary War Monument; Dedicated 1916; Located between Route 1A and the access road for the First Parish Church; See picture at the bottom of this page. Maine's Congressional Medal of Honor Recipients, includes recipients born in Maine but credited in another state. World War I and World War II Memorials; Rededicated 8/18/13. The Candlemas Day Indian Massacre in 1691-2. 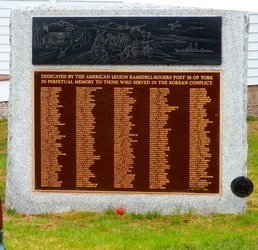 Some 40 citizens were massacred and many more were wounded or taken captive and carried off to Canada. 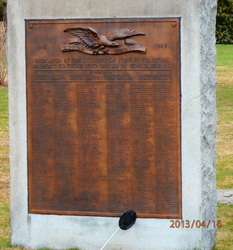 This monument is the one for which the Old York Historical Society will have to do more investigating to find the dedication date. 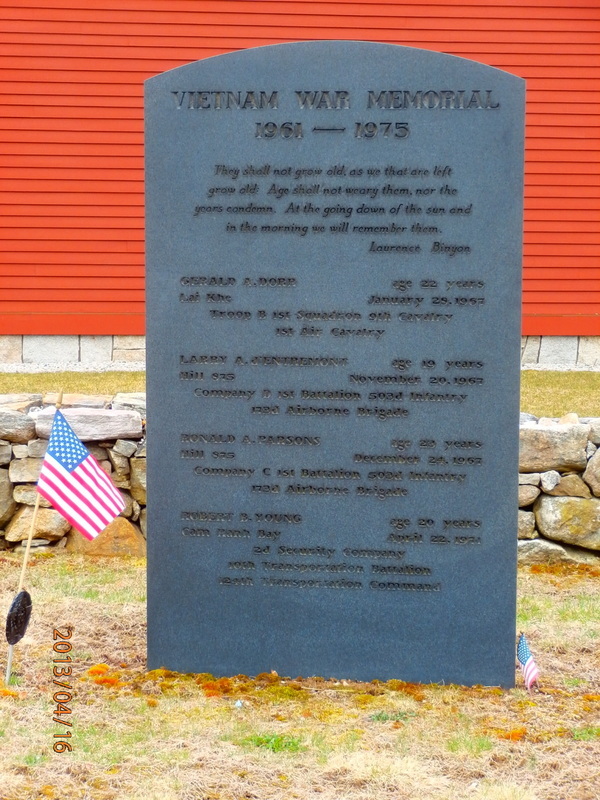 This monument is located in the old town cemetery along Lindsey Road which runs down from the First Parish Church. The Society places the dedication in the early 1940s. For Information on the pictures below, click on the picture. The Revolutionary War Monument commemorates the departure of citizens who fought in the War for Independence. 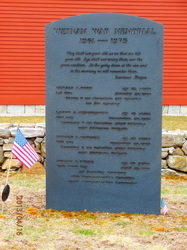 This monument is located between Route 1A and the access road for the First Parish Church between the church and the town hall. 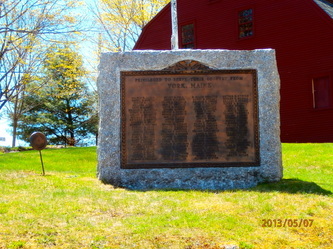 This monument was erected in 1916. Dedicated to the Sons of York Who Served Their Country in Army and Navy for Preservation of the Union (1861-1865); York Village Square, York Street (Route 1A); This was dedicated in 1906.